I've been working on this one kinda hard because I wanted to do this subject justice,.. since it has been widely underrepresented in schools and history books. I'm of course talking about the great Black Governors. It's amazing to me that there have only been four black Governors in the history of the United States (if you don't count the U.S. Virgin Islands.) David Paterson, Deval Patrick, Douglas Wilder and PBS Pinchback. Unless you count the two dozen or so Black Governors of Connecticut. That's right, long before slavery was abolished Connecticut had a long list of black governors who were elected by their peers. So, essentially prominent slaves were elected to office. Slave masters would travel to Hartford for the elections.. one week after the general elections for each county. They would even hold a parade for the black governors. Their role in the state probably wasn't a desirable one. They were charged with keeping slaves in order. They were also mediators between black and white population. Seems to me like someone didn't want to do the dirty work. Later, when Connecticut's laws gradually allowed for more free African Americans to live in the state they Governors were no longer slaves. But they still were subject to ridicule and in one case the black governor died sick and penniless. The black governor's prominence seemed to be localized to New England Communities in the 18th century. It began with slaves, who went with their owners to Hartford for the yearly election of the colony's governor. The first black governor went by the name of "London" in 1755 a slave owned by Captain Thomas Seymour. When traveling became too much, the black Governor went from a state-wide office to a community leader-- mostly in Derby, Durham, Farmington, New Haven, New London, Norwich, Seymour and Hartford. The elections were held on the second Saturday in May, . Sam Huntington was a black governor in Norwich and was a servant of the Governor of Connecticut -Samuel Huntington. The last black governor in Connecticut is considered to be Wilson Weston, who served as governor in the town of Seymour in 1856. * Cuff, a slave,stepped down in 1776 -- just when the Revolution was beginning -- and asked the blacks to elect John Anderson, the slave of British Major Philip Skene, who was a prisoner in Hartford. The action scared Colonial leaders because they feared Anderson might foment an insurrection. But, in a Colonial investigation, their fears were assuaged and Anderson was elected. 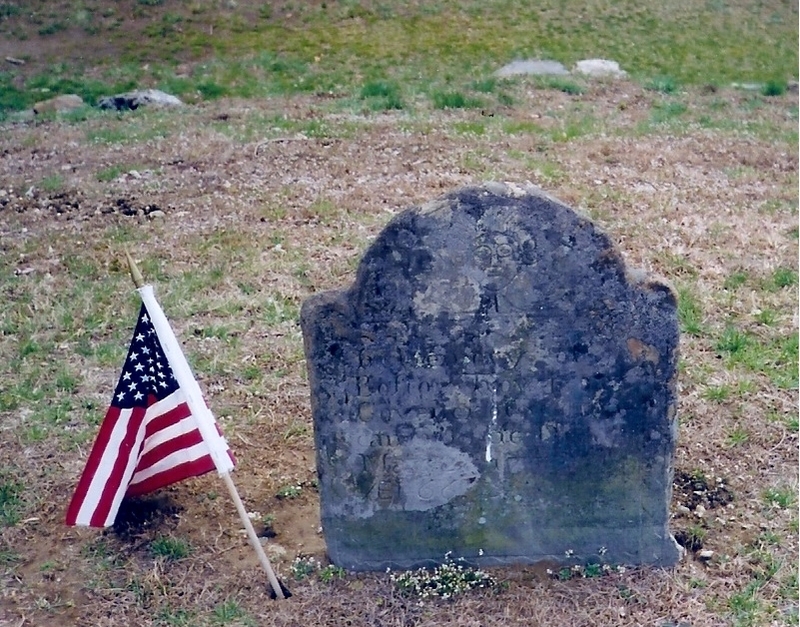 Cuff is probably buried in the Ancient Burying Ground in Hartford. * Quaw, a slave belonging to Col. George Wyllys, secretary of the state and the great-grandson of a governor. After one of his elections, a grand inaugural ball was held at Amos Hinsdale's Tavern on Main Street in Hartford, complete with the finest food and liquor.Quaw is probably buried in the Ancient Burying Ground, too. One of the Black Governors that I found a lot of information on was William Lanson. Mostly, though, because of how his life ended-- a real "Tragic Hero." He went from owning property in New Haven and Extending Long Wharf to dieing in an Almshouse without a dime to his name. Lanson was responsible for extending Long Wharf into deep water. It was a crucial necessity for a growing city to able to to have ships dock and load and unload their goods easily. The Warf wasn't built until 1663.. but still 100 years later the wharf hadn't been built out far enough for larger ships. New Haven's harbor is so shallow that many of those larger ships risked getting stuck in the mud. William Lanson began extending the Wharf in 1810.. and two years later it stretched out 3480 feet-- the longest Wharf in the U.S. at the time. That helped the Elm city become a successful port town. Tough times fell on Lanson later in his years after purchasing an old slaughterhouse and turned it into the Liberian Hotel. He found success at time when many Blacks—in both the North and South—were mired in either de facto or chattel slavery. these merchants - and his subsequent arrest accelerated his decline. Incarcerated several times after that..."
While in jail, William Lanson was stricken with arthritis and possibly pneumonia. On May 29th, 1851, a 75 year old Lanson died of gangrene. That political, racial and slanderous attacks on lanson's character were so strong that before his death, Lanson wrote in his own defense to a local paper. Then after his death Lanson's son wrote a pamphlet explaining the story of his father's life. Compiled from ``Black Yankees: The Development of an Afro-American Subculture in Eighteenth-Century New England,'' By William D. Piersen, University of Massachusetts Press, Amherst, 1988.